When picking out a new city to call home, it's not all about the quality of the burgers or the craft beer scene. Alright, those are hugely important, but still -- an easygoing atmosphere can be just as valuable, especially if you're past the bad-decision-bar phase of your life. Recognizing this value, Travel and Leisure took the results of its America's Favorite Cities survey and compiled a list of the country's 20 most "charming" cities, combining its readers' rankings for architecture, pedestrian-friendly streets, and quaint bookstores, as well as each city's sense of history and friendly atmosphere. Coming in at the no. 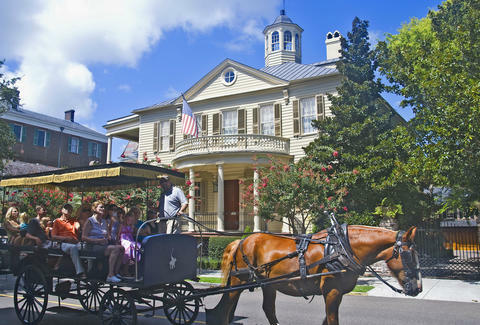 1 spot, Charleston, SC pulled a Ludacris, thanks to its horse-drawn carriages and antique shopping opportunities. New Orleans, meanwhile, snagged second place, thanks to its beautiful architecture and local cuisine, while Providence, RI rounded out the top three with its killer arts scene.